Amitav Acharya, “ASEAN’s Dilemma: Courting Washington without Hurting Beijing,” Washington, DC: East-West Center, October 18, 2011 Some good advice on how ASEAN needs to be careful to walk its precarious path between the two Pacific Superpowers, China and the US. Engaging Laos: Strategic Part of the ASEAN Puzzle | Center for Strategic and International Studies. A thoughtful overview that probes the role Laos could play in relation to Burma, Vietnam, and China. If our relationship with China goes even the least bit sour, we are going to be spending a lot more time in the region. This PDF book compiles some important primary sources on the evolution of the relationship between China and ASEAN over the past two decades. China has attempted to interpose itself into ASEAN, and the effectiveness of that ongoing effort, will determine whether Southeast Asia becomes a regional power in its own right, or whether it simply becomes another sphere of influence wherein China, India, Europe, Japan, and the U.S. play an updated version of The Great Game. An update on how Southeast Asia is addressing its longstanding divisions in order to form an effective diplomatic power bloc. 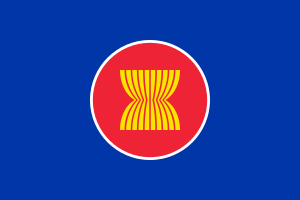 In the past, ASEAN has been largely a commercial and economic arrangement. But as China and India rise, ASEAN will take on an increasingly important political role, and if the nations can effectively resist the “divide and conquer” approach that Chinese and Indian diplomats will inevitably employ, the region could become a critical national security bloc as well.